As this Thanksgiving Day draws to a close, the only thing fuller than my stomach is my heart. This truly is one of my most favorite days of the year. No matter what has led up to this day, and what happens on this day, I cherish the collective giving of thanks. As soon as I opened my eyes to greet this Thanksgiving Day, I began to silently list some of the people and things I am grateful for and give heartfelt thanks for them. It was a good start to the day, and the positive vibes continued. Until I got in my own way. At times, my focus drifted from what I have to what I have lost since the last Thanksgiving Day. A lot has changed in the span of one year. A lot. Too much. Not enough. As an inner tug-of-war between my feelings of gratitude and my feelings of sadness erupted, I became so frustrated with myself, before I finally called a truce. I acknowledged the changes and losses of 2017, but I also invoked the spirit of Thanksgiving to find the silver lining and give thanks for the hard lessons learned. I had to dig deep, but I hit pay dirt. Gratitude does not erase pain, but it can reduce it and make it more bearable. Today, I may not always have put the happy in Happy Thanksgiving, but I was able to add the thanks to it. 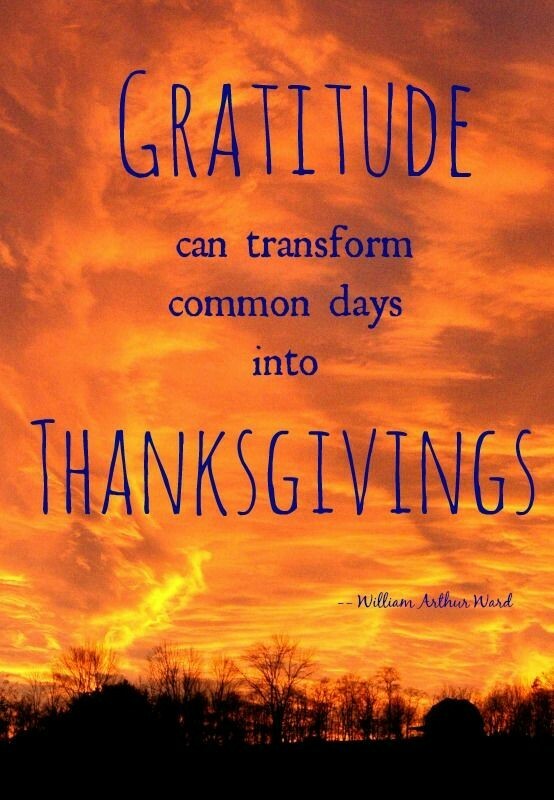 Gratitude is a practice and an attitude that are not reserved solely for Thanksgiving Day. Gratitude makes every day Thanksgiving, so, this is not the end until the next one. It is only the beginning. That is simply lovely, and I thank you and wish the same for you and yours!